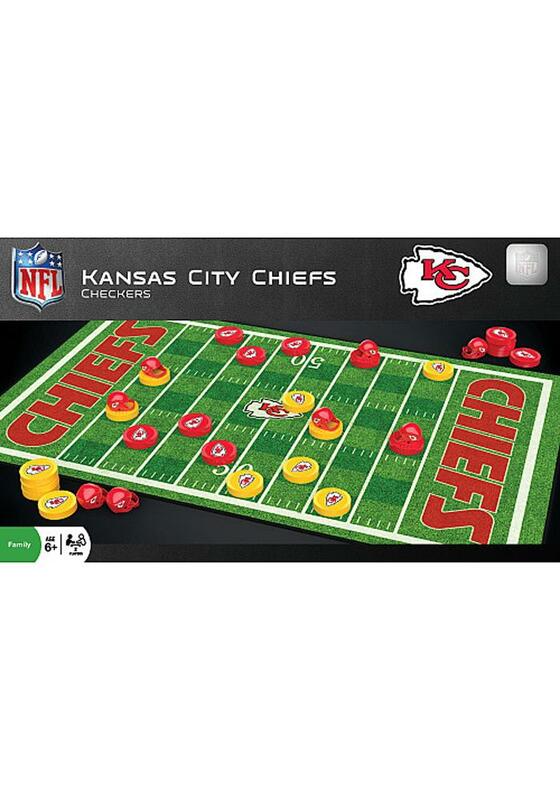 Have a little fun with your team with this Kansas City Chiefs Checkers Game. This Game features a team field as the checkerboard with team logo on all game pieces for hours of Chiefs fun. I purchased this as a gift for my son. We constantly play this game and the board and pieces have held up nicely. However, they did not provide enough king pieces. There are only 8 included in the set so my son and I had to improvise when we ran out. Other than that, this is a nice game set.